My most recent experience with Subaru was wonderful! The staff are efficient, quick, well organized, friendly, good customer service. Overall great! This is so awesome to hear Bailey! Thank you so much for your feedback. We look forward to seeing you again. The service was excellent. 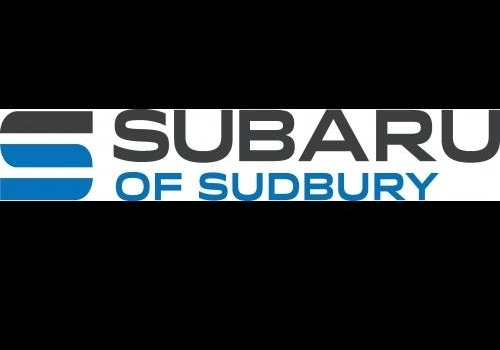 Much better service and quality of service than Other dealerships in Sudbury that I have dealt with. Management and Staff are great. We are so happy to hear you had excellent service Claude! Thank you for sharing your feedback. The staff got me in and out as soon as possible. They explained what the problem may be and how to avoid it in the future. The service was very good and the people were very friendly. I have heard that your dealership is moving to Falconbridge Road. One reason that we choose Subaru was because we were tired of going to the Kingsway for Toyota and Nissan. We live in the south end. We are so happy to hear the service was very good and that our team was very friendly! Our dealership is staying on Long Lake Road and we will be storing some of our inventory on Falconbridge Road. This is to make room in our existing lot to ensure our customers always have a space to park when they come to visit us. We look forward to seeing you again! Lynn and Jordan were knowledgable about their product. Jordan gave us time to evaluate options after our initial visit and followed up with us afterwards but we never felt pressured. The service was great. We made an appointment to pick up the vehicle and Jordan met us at the dealership eventhough it was his day off. Congratulations on the purchase of your new vehicle Michelle! It's great to hear that you did not feel pressured. Thank you so much for your feedback.